Beads + Threads: I bought 3 sets of these H&M multicolored elastic bead bracelets, and another set of thin wood bangles for about $3.99/set and mixed them all together. One lady came up to me in the West Village, asking me where I got them and was shocked at how cheap it was considering Scoop was selling similar bracelets for about $60 Ack, so expensive!. I must have worn them for the better part of the summer. I usually wear them with a Muses and Lovers friendship bracelet. 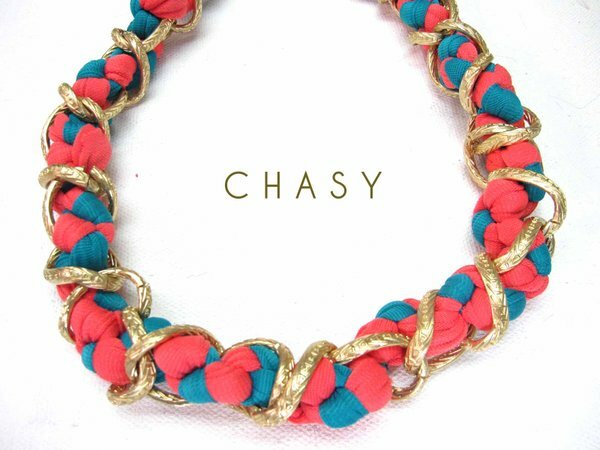 The bracelet is $56 retail, but lucky me, I got it for free while interning at Refinery29. Mine isn't this pristine anymore. In fact, it's looking a little ratty already since it always gets wet when I wash my hands. Sometimes I wear the beads and the friendship bracelet as a happy family on one arm; other times I wear the friendship bracelet on the opposite arm. Metal + Leather: I gave my boyfriend an H&M brown leather wrap bracelet as a stocking stuffer last Christmas, and decided to buy one for myself. Ever since, it has held a permanent lease on my wrist (and my boyfriend's too!). I especially like wearing it with my gold chain bracelets. The chunky, pavé-link one is from Firma, a Christmas present from a few years back when I was an editor. The dainty chain, a gift from my former co-worker Jessika (love you Jess! ), has tassels. It's actually a necklace but I almost always wear it as a bracelet. Rhinestones + Tribal: Ok, I am a HUGE fan of bling. I am like a magpie, attracted to anything that's shiny and sparkly. So for a wedding I attended a few months ago, I naturally had to wear bling to accessorize my gorgeous Mango fuchsia column dress. However, I decided to make it more eclectic by adding my recently acquired African plastic weave bangles that I got for $6 (for four pieces) at the Harlem African market. Not a usual combination but I liked how they turned out. 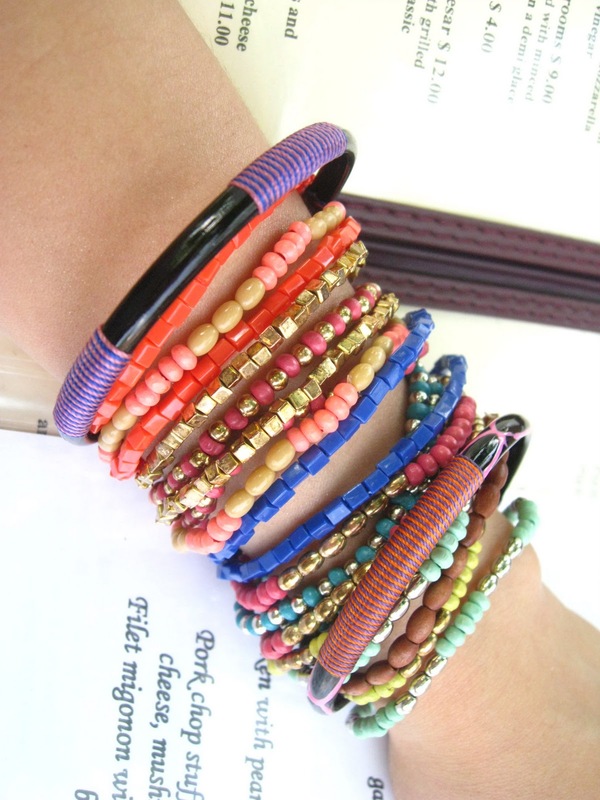 The African bangles remind me of the handles of our local walis tambo. Oh, and I added a pearl bracelet into the mix. L-R, not including the African bangles: Hinged rhinestone bangle (actually a watchband) from a jewelry supply store in NY; errant black hair elastic; elasticized thick rhinestone cuff, Mango; elasticized thin rhinestone bracelet, part of a set bought at The Landmark; pearl and rhinestone coil bracelet, The Landmark. In case you want to start your own collection of bracelets, here are some cool pieces I found online (mostly from Multiply shops). 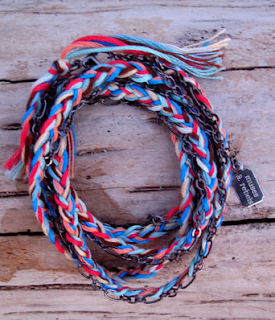 Extreme Finds Frenchaid necklace, which you can wrap around your wrist too. 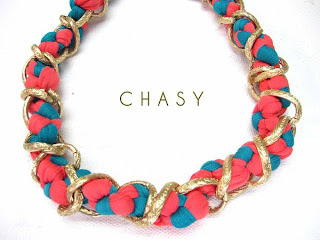 Php 450. 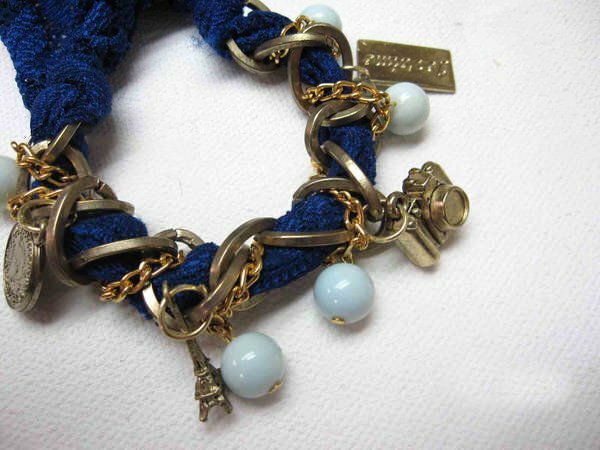 Extreme Finds Catena charm bracelet. Php500. 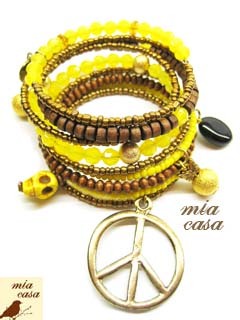 Mia Casa slinky bracelet with charms. Php350. 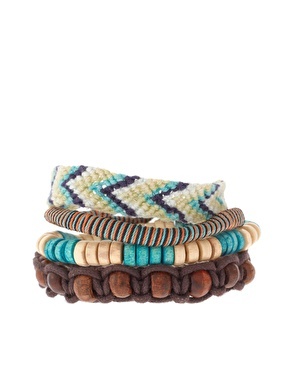 ASOS friendship bracelet pack. US$14.64. 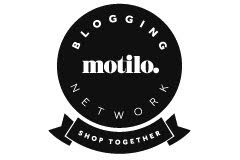 Happy shopping and happy accessorizing! Tara and Frances, thank you (blush). I shall show your comment to Pat haha!